Aalayam - Colors, Cuisines and Cultures Inspired! : Magazine Feature: We are on "Curated"!!!! Magazine Feature: We are on "Curated"!!!! Words to live by in the blogosphere! And that is exactly what is happening at Aalayam. 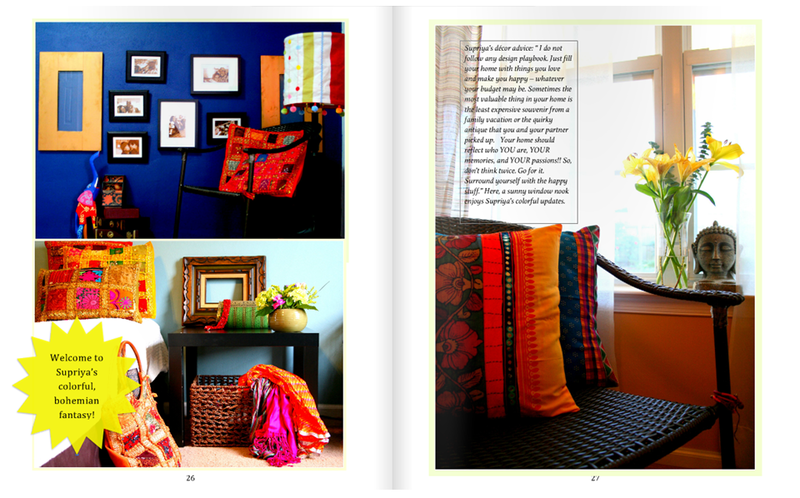 A kindred spirit, who is also a fantabulous blogger - Priya, (Once Upon a Tea Time) reached out to Aalayam, to feature Deepa and I, our daily inspirations, our creative drivers and joie de vivre and of course get a sneak peek into our homes in her new Curated magazine!! Over hurried Whats App messages and long distance voice mail, Deepa and I reconnoitered to get our interviews ready, pictures scrubbed and profile shots "shot" to make it Curated ready!! We were supremely excited to be part of this venture because Curated is a veritable visual treat! Its fresh, sets a serious design tone with its boho-chic influences, and blazes the trail for all the bloggers in the business of self publishing. Priya, with a keen eye for design detail and a refreshing repertoire of verdant imagery punctuates Curated with oomph, style and tons of inspiration. Here are some snippets from our interviews and home tours on Curated. Peek into the magazine feature a lil, here, but make sure you click on this link to read the whole story! CLICK HERE! 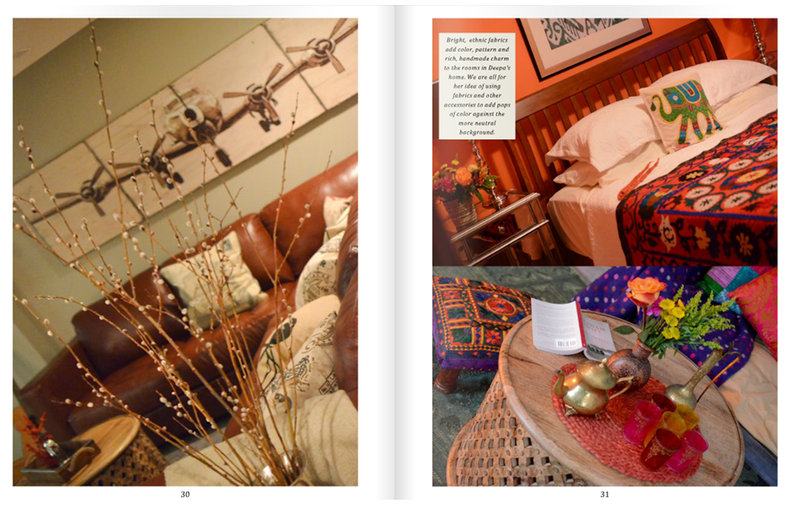 to read Deepa and my interviews on Curated and for the grand home tours!! Thank you for the immensely flattering showcase Priya. This project was a privilege for Aalayam. And tons of fun for Deepa and ME. CLICK HERE!! to read the full interviews. Congratulations ladies...read the issue. Magazine and your feature looks fabulous. Nayana!! Thank you!!! Its the constant encouragement of fellow bloggers like you that keep us going!! Congratulations!! coming over from Priya's blog. You guys are are doing a great job. Off to reading your others posts. Keep sharing :) - Preethi. Priya - the pleasure is ours! :) I am looking forward to next month!! Congratulations to both of you! Loved the interview and all the fantastic images as well. Shalini - it was a fun project. Thanks to Priya for suggesting it!! Hope you are doing well and enjoying your Varnanggall bag! This blog will go places, I can see. You guys stand out from several tons of new Indian decor bloggers we have around, keep it going! Ambika - you are so sweet and propitious! Deepa and I strive to add that cerebral appeal to whatever we feature - be it culture, modern take on food and art, artist features or just decor. And I am glad the keen observer like you appreciates that. Thank you east coast desi! We love having you as part of our niche. And the feeling is mutual!